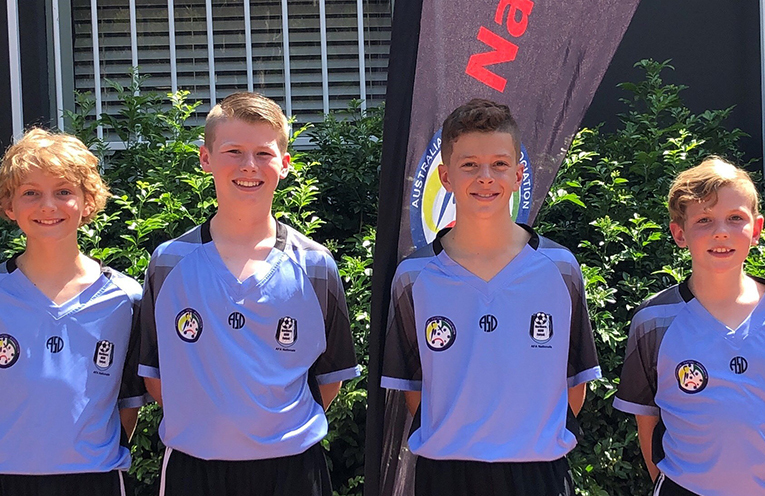 The Port Stephens boys in the National Futsal Championships (L-R): Ashton Morrissey, Riley Marmont, Lucas Caines, and Noah McKimm (photo supplied). A GROUP of Port Stephens boys formed part of the Northern NSW U11 Country team that competed in the national Futsal championships. Futsal is a modified form of Soccer, with five players a side, and played indoors. Selected via a try out process, the team came 6th overall. They played two games a day for three days. Both boys are eager to try out again next year and to continue playing soccer.